Incontinence can come on suddenly in an older dog. If your dog suddenly can't control release of urine, the first sign you notice may be wet bedding or a urine odor in the house. She may dribble, or you may discover little puddles. It's important to consult your veterinarian as soon as possible. Sudden incontinence has several possible causes. Stress may cause sudden incontinence. The stress may be physical, as in dogs who have weak bladder muscles and release urine if they move suddenly and with force. The stress may also be psychological, for example resulting from a major change in the dog's routine or surroundings. The "Dog Owner's Home Veterinary Handbook" lists submissive urination as a form of stress incontinence often seen in puppies. It is characterized by the release of urine when the young dog interacts with a human or a dominant adult dog. As dogs age, many become less able to control their bladders. 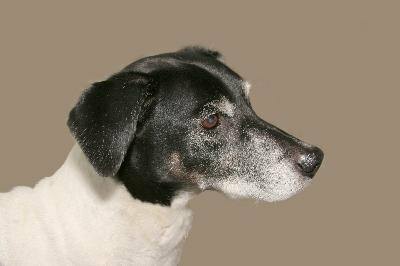 Incontinence is often seen in older spayed females, but it also can occur in other elderly dogs. Age-related incontinence may come on suddenly, improve for awhile, then progress to more frequent bouts. Your veterinarian will examine your dog to diagnose the cause, make certain no disease is involved, and prescribe any needed medications. Your dog may suddenly become incontinent if she develops an infection in the lining of her bladder. The inflammation will make her feel as if she has to go, and you may notice her crouching frequently and in improper places. Also, if your dog's bladder is obstructed by a tumor or urethral stones, incontinence can result. Your dog won't be able to empty her bladder, and it can become distended or over-filled, causing dribbling. Tumors, injury to the spinal cord, or some inherited conditions can cause neurogenic incontinence. In such cases, the nerves that control the bladder are affected, interfering with the bladder's ability to contract. This can cause a situation where the dog's bladder literally fills to overflowing. The result is irregular dribbling. An imbalance in hormones -- estrogen in females and testosterone in males -- can cause what is termed hormone-responsive incontinence. Because those hormones are essential for muscle tone of the urethral sphincter, an imbalance can cause loss of bladder control. Typically, this type of incontinence shows up as bed-wetting. Your dog will urinate normally when she's awake, but won't be able to control her bladder when she is asleep and relaxed. What Is Middle Age for Dogs?